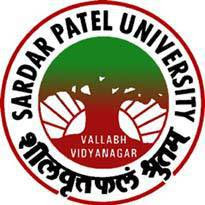 Sardar Patel University, Department of Chemistry, Vallabh Vidhyanagar, Dist. Anand Published Recruitment Notification for Junior Research Fellow (JRF) Posts. How To Apply : Application on Plain Paper along with the Bio-Data (Including Email Address) and all Relevant Attested Documents (Educational Qualifications, NET Clearance Certificate & Proof of Age) should reach by Post or through an Email (head_chem@spuvvn.edu) to Prof. Dr. N. V. Sastry, Coordinator, CPEPA Program, Department of Chemistry, Sardar Patel University, Vallabh Vidyanagar - 388120 (Gujarat).